Knowing where Queensland's most dangerous creatures live and how to respond if attacked can save a life. With its spectacular beaches and lush tropical rainforests, Queensland is a natural mecca for visitors worldwide. But with its natural beauty come dangerous (and sometimes deadly) creatures that also call it home. Although many are predators, they are also an important part of the state's ecosystem, and some are endangered species. Knowing how to avoid them and treat attacks if they occur will not only give you peace of mind, it might save a life. 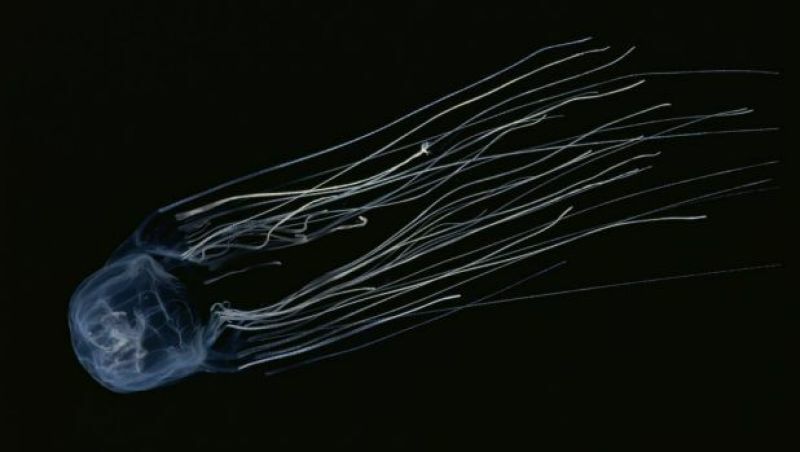 The smallest jellyfish in the world, it is potentially fatal. 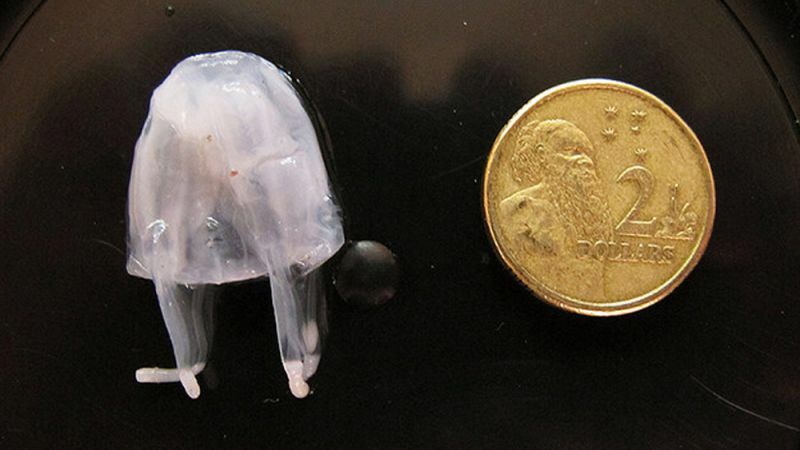 It fires stingers into its victim, causing symptoms known as Irukandji syndrome. Off the coast of North Queensland, but swimmers were stung off Fraser Island this summer. To avoid venomous sea life, always follow Surf Life Saving Queensland’s warning signs – swim at patrolled and netted beaches between the flags. Don’t enter the water if beaches are closed. Wear a lycra stinger suit if swimming in problem areas. Symptoms of Irukandji stings may take 20–40 minutes to develop, and the initial sting is often not felt. If symptoms such as severe sweating, nausea, vomiting or severe limb or back pain arise, dial Triple Zero (000) and ask for an ambulance. While waiting for the ambulance, pour vinegar onto the sting site and administer oxygen or CPR if required. If in doubt, seek medical aid. A notorious cube shaped jellyfish with an extremely painful sting, it causes cardiac and respiratory arrest and is usually fatal to humans. Much bigger than the Irikandji, it is up to 20cm wide. Found mostly in the warm waters north of the Tropic of Capricorn. Follow the same guidelines as for Irukandji. If stung, douse the tentacles with vinegar and dial Triple Zero (000) for an ambulance. If the patient isn’t breathing, start CPR. Do not attempt to remove the tentacles. Do not rub the sting. In the event of a box jellyfish envenomation, administering CPR until the ambulance arrives is likely to be lifesaving. This octopus is one of the world’s most venomous animals. At 12-20cm in diameter it is normally placid and shy, but when threatened, its brown patches darken and iridescent blue rings or clumps of rings appear and pulsate. Can be found in Moreton Bay in the state’s south east, and likes to dwell in rock pools and shallow reefs. Teach children about the dangers of playing in shallow rockpools. They should never try to handle or provoke an octopus they encounter. It is very difficult to differentiate this octopus from less harmful species. If stung, the main symptom is severe respiratory distress. There may also be severe reddening of the skin at the bite site. 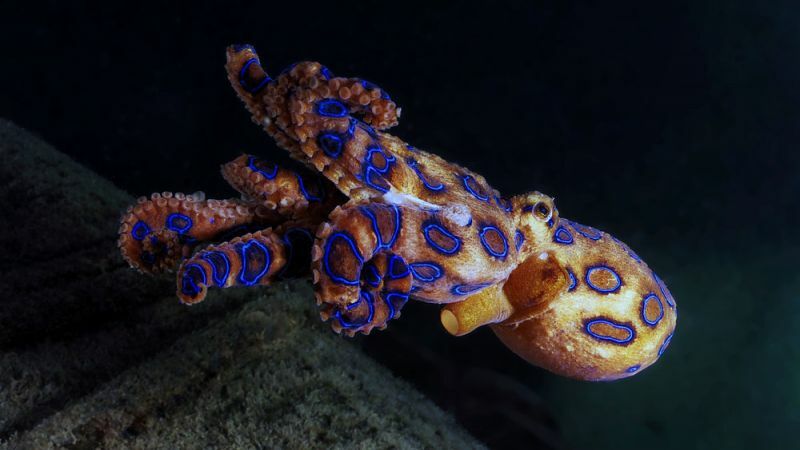 If you suspect someone has been bitten by a blue-ringed octopus, dial Triple Zero (000) for an ambulance immediately. If the patient stops breathing, commence CPR. A group of large-sized predatory molluscs, they are snail-like creatures that live in shells. They usually sting when divers in deep reef waters handle them. Most species have rows or tiny teeth arranged in a ribbon, and long, hollow barbs shaped like harpoons. A gland supplies venom to fill the barbs and one of these barbs is then injected into the flesh of its prey. Swimmers and snorkelers are fairly unlikely to find cone snails in shallow intertidal waters. However, if they do wash up closer to shore, their brightly coloured or patterned shells can attract the attention of unsuspecting beachcombers and children. Do not handle the cones, whether you are diving or curiosity takes the better of you when walking at the beach. Symptoms include intense pain, numbness, and tingling, as well as muscle paralysis and subsequent cardio-respiratory arrest. If bitten, dial Triple Zero (000). Immerse the area in water as hot as tolerable, and use the pressure-immobilisation technique. The most venomous of all fish, it camouflages perfectly among coral and aquatic plants, often appearing like a stone. Its dorsal fin spines contain venomous glands that discharge when it is disturbed, often by swimmers who have ventured into reefs and coral, or casual divers not wearing adequate protective equipment. Can be found spread across the entire Queensland coast in bays, estuaries and reef flats, usually among or adjacent to aquatic plants, fallen trees, rocks or coral. 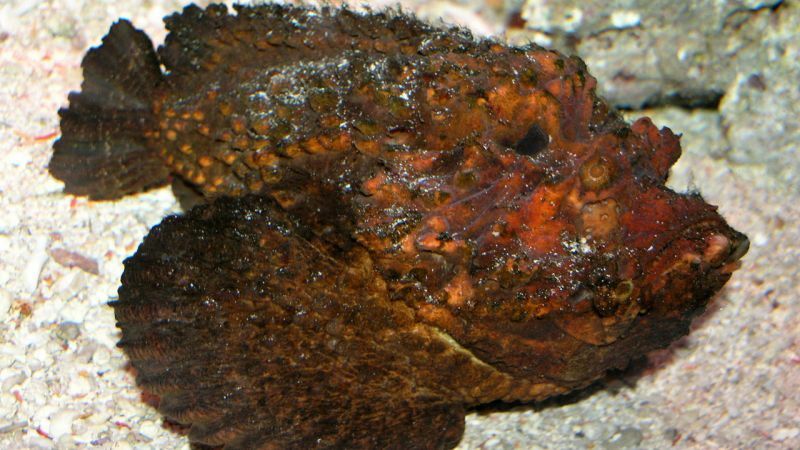 To prevent stonefish stings, sturdy footwear should be worn on reef flats, or while wading on soft-bottom substrates adjacent to rocky or weedy areas. In the event of a sting, dial Triple Zero (000) as antivenom may need to be administered. Do not bandage or try to restrict movement of the toxin. Instead, immerse the affected area in hot water — heat breaks down the venom. Try putting an unaffected part of the patient’s body in the hot water first to make sure it will not burn them. If this can be safely tolerated, then it is safe to put the area that has been stung into the hot water. Always try with an unaffected body part first, as Stonefish stings may alter sensation, and render the patient insensitive to the effects of boiling water. One of the most feared water predators. Freshwater species inhabit inland areas in the tropics and in tidal portions of rivers. They have longer and thinner snouts, with a straight jawline. Saltwater crocodiles are found in estuaries, rivers, lagoons and swamps and have a broad, powerful-looking snout, with an uneven jawline. In Queensland, they are found in the rivers and swamps of Cape York Peninsula, areas bordering the Gulf of Carpentaria and the north-west. East coast populations exist in the upper Herbert River, the Burdekin River catchment and the Ross River. Freshwater crocodiles also live in tidal reaches of some rivers. Never interfere with crocodiles or their eggs. If sighted, report them to CrocWatch on 1300 130 372. Be aware of crocs if camping or boating in areas they are commonly found. Only swim in designated surf lifesaving areas, and do not enter even shallow water at the river or beach in areas where crocodiles have been reported. The stuff of nightmares and scary movies, sharks are the world’s most feared fish – even though many of them face extinction. About 170 different species inhabit Australia’s oceans. Many of Queensland’s tourist beaches have shark nets, which have a depth of six metres. Recorded shark attacks in Queensland are thankfully rare. But more than 50 species call Queensland waters their home. Always swim or surf at patrolled beaches, between the flags and where there is shark safety equipment. Do not swim or surf after dusk, at night, or before dawn when shark attack is more likely – and never swim alone. This slithery serpent shares our love of sunshine and water. It is shiny and dark skinned, and highly venomous. Its bite causes thin blood and severe abdominal pain, but not paralysis. Common in the south-east, as well as patchy parts of the north east such as the Big Tableland and Mt Elliot. Usually found in river and creek banks, as well as in swamps and some eucalypt forests. Dial Triple Zero (000) if bitten by any snake. Apply a pressure immobilisation bandage and splint to reduce venom absorption. This may be life saving and should be done immediately after any snake bite, and before symptoms develop. In the event of a cardiac arrest commence CPR. 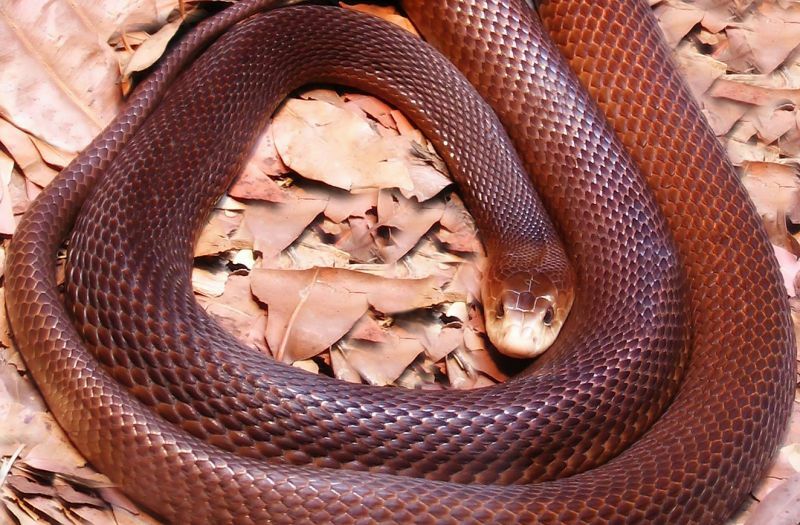 Snake colours may be deceptive – brown snakes may be grey, black or a combination of these colours. 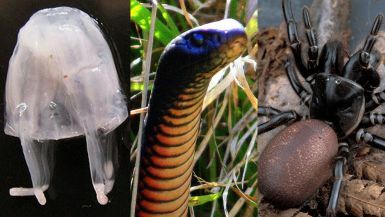 They feeds on frogs, reptiles, birds and mammals, but are dangerously venomous and have been responsible for many human deaths. Their bite causes severe thinning of the blood, and has been described as causing cardiac arrest. The Eastern Brown Snake is common in Queensland, and is particularly common around Beenleigh and Ipswich. Apply a pressure immobilisation bandage and splint to reduce venom absorption. This may be lifesaving and should be done immediately after any snake bite, and before symptoms develop. In the event of a cardiac arrest commence CPR. A snake with a fearsome reputation due to its aggressive nature and toxic venom. 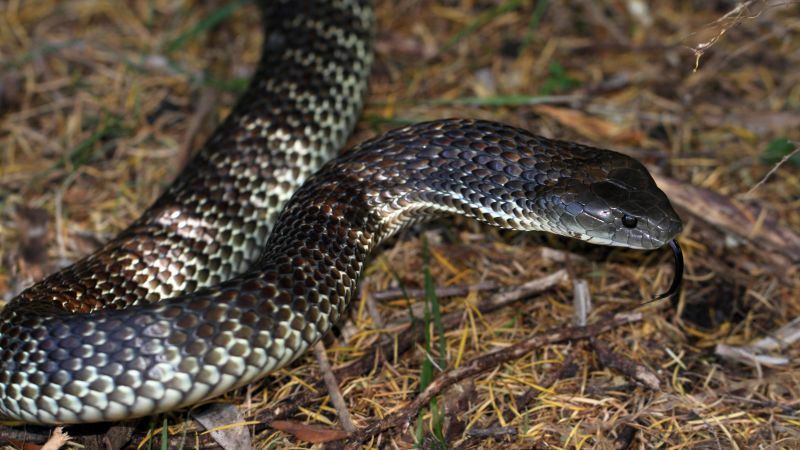 Tiger snakes cause descending paralysis – double vision, drooling, slurred speech, followed by respiratory arrest; as well as thinning the blood and causing severe muscle pain. Tiger snakes are not as common as other dangerous snake species in Queensland, and are mainly found in areas such as the Carnarvon Ranges, Maryborough, Cooloola, Caloundra-Beerwah, Bunya Mountains, Border and Main Ranges. 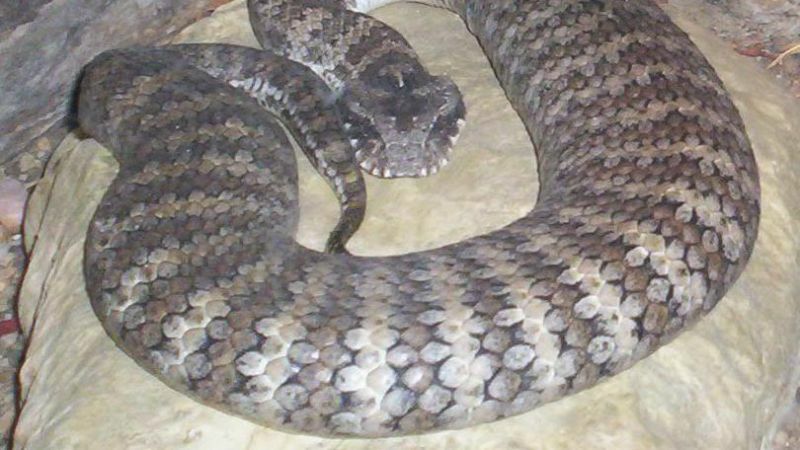 A snake with a stocky body and an arrow shaped head, it usually sits motionless concealed in leaf-litter. As the name suggests, it possesses highly toxic venom which can cause paralysis and subsequent death. Early signs of death adder envenomation include double or blurred vision, slurred speech, drooling, and difficulty swallowing. Can be found in large coastal and inland areas of Queensland, particularly in the south. 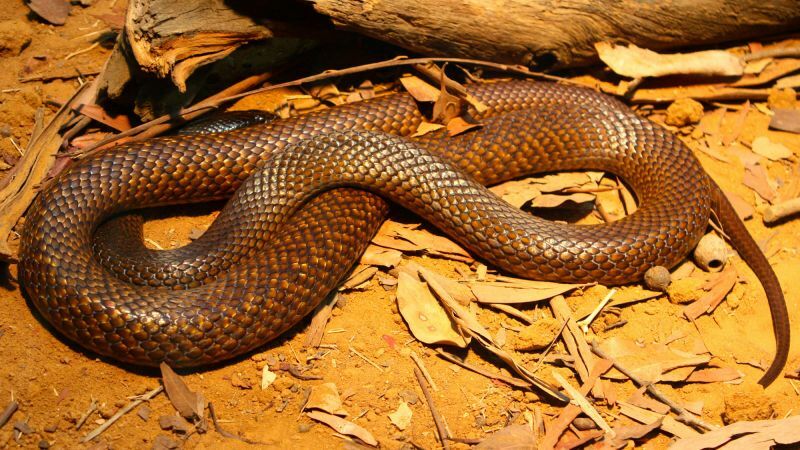 The Coastal Taipan is a light olive coloured snake with a light coloured face, and has the third most toxic venom of any land snake. 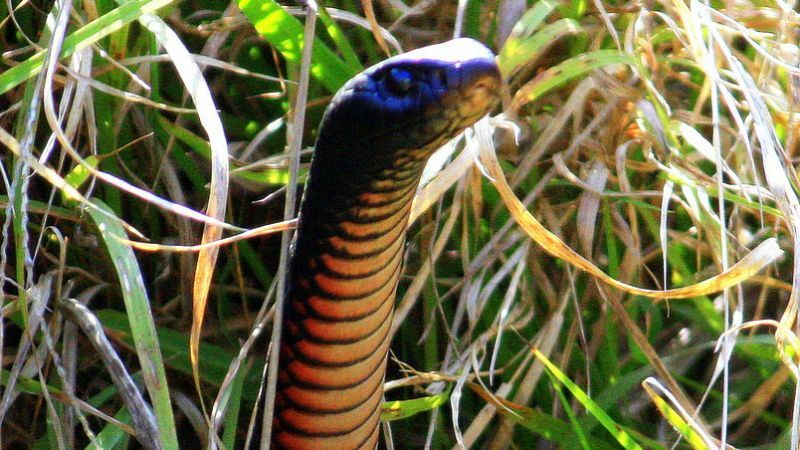 Taipan bites cause descending paralysis – double vision, drooling, slurred speech, followed by respiratory arrest; as well as thinning the blood and causing severe muscle pain. Coastal areas of Queensland, mainly in open forests, dry forests and grassy beach dunes. Ticks are very small, but if they latch on to you while bushwalking, symptoms can range from mild itching and swelling to potentially life threatening anaphylactic shock. The paralysis tick, as its name suggests, can paralyse its victim by injecting neurotoxins into its host. Often ticks will attach themselves to your socks or inside your clothes and draw blood. Ticks are usually found in a 20-kilometre wide band following the eastern coastline of Australia – so close to the Queensland coast wherever you are in the state, and particularly in tropical forests after heavy rainfall. Wearing long shirts and pants to protect your skin, or even spraying your clothes with insect repellent can help avoid ticks latching on. If attacked, symptoms develop and progress over 48 hours. Be aware particularly of young children who have been outside. Weakness, lethargy, incoordination, double vision and drooling may represent early signs of paralysis tick envenomation. A thorough search for a tick – including through the hair – should be undertaken. If there is any uncertainty, medical advice should be sought. If found on the body, ticks should be removed as soon as possible using fine tipped forceps or fine surgical scissors. Press the skin down around the tick’s embedded mouth part, grip the mouth part firmly, lift gently to detach the tick. Avoid squeezing the body of the tick during removal. A notoriously dangerous Australian spider, between 1 cm - 5 cm in length. Its body colour can vary from black to brown but the hard carapace covering the front part of the body is always sparsely haired and glossy. Funnel web bites cause sweating, headaches, high heart rates, severe chest and nasal and chest congestion, and may be fatal. 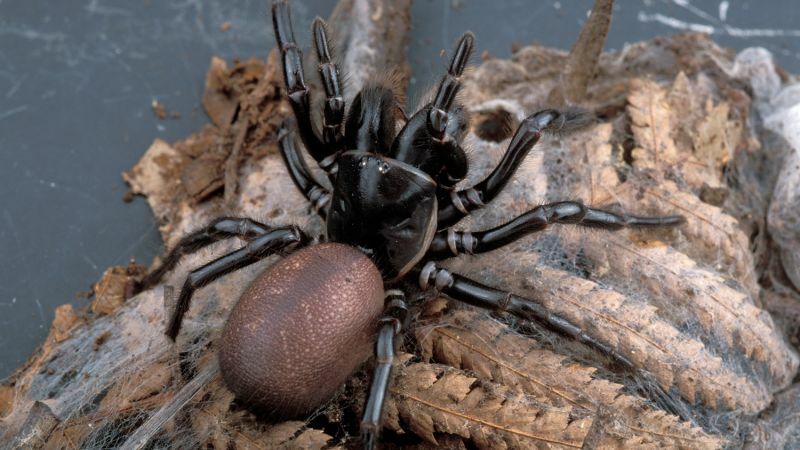 Funnel-web spiders live in the moist forest regions of the east coast and highlands of Australia from Tasmania to north Queensland. Dial Triple Zero (000) if bitten by a funnel web spider. Apply a pressure pressure immobilisation bandage as for snake bites. So named for the female of the species’ prominent red stripe on her back, they are about 1cm wide. Redbacks have extremely potent venom and are responsible for the majority of reported spider bites – but thankfully have not killed any Australians since the introduction of antivenom 50 years ago. They can sometimes give a ‘warning bite’ if they feel threatened or their web is disturbed. 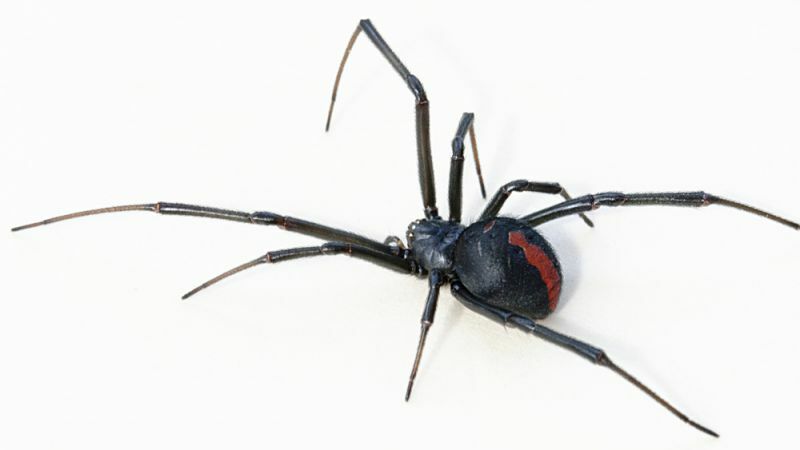 The redback spider has a preference for living close to highly populated areas, often inside homes, meaning the spiders are present in all areas of the state. Their webs are normally found in dark, dry, sheltered spaces. Be careful around buildings, under houses, in roofs and in sheds and garages. Always check first before reaching into your mailbox or other dark holes. If bitten, pain usually increases over an hour or two and may radiate up the limb. Abdominal or chest pain may develop, as may pain in other parts of the body. Common early symptoms are pain (which can become severe), sweating (always including local sweating at bite site), muscular weakness, nausea and vomiting. Dial Triple Zero (000) if bitten by a redback. Apply an ice pack to the bitten area to relieve pain. Do not apply a pressure bandage (venom movement is slow and pressure worsens pain). Collect the spider for positive identification. Seek medical attention.